For any company running a successful PPC campaign, long-tail keywords are likely already a part of the strategy. 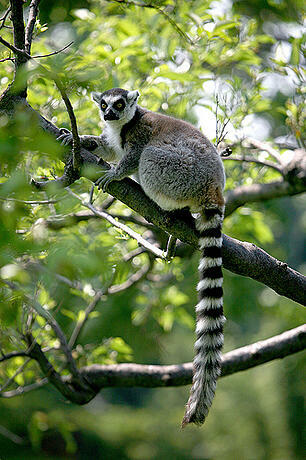 “Long-tail keywords” are typically defined as search queries that contain 3 or more keywords. These terms usually have low search volume and low cost-per-clicks (CPCs), yet they are often overlooked by many PPC marketers. Although individual long-tail keywords don’t have a huge impact on a PPC campaign, when looked at and measured in aggregate, they have the ability to significantly transform results by lowering cost-per-click and cost-per-lead while improving average click-through rates and quality score. As another reminder for why you should be paying attention to long-tail keywords, Google recently released a video featuring Google Software Engineer Amit Singhal and Matt Cutts, the head of Google's webspam team, gathered at a Google search quality team meeting. Their main topic of discussion was around “spelling for long queries.” The highlights of the discussion include conversations around improved spell correction for long queries and new ways to best display these misspelled keywords. The takeaway for marketers is that the long tail is an important topic at Google, because there are enough searches for long-tail keywords being conducted regularly. In other words, it should be a priority for you as well. 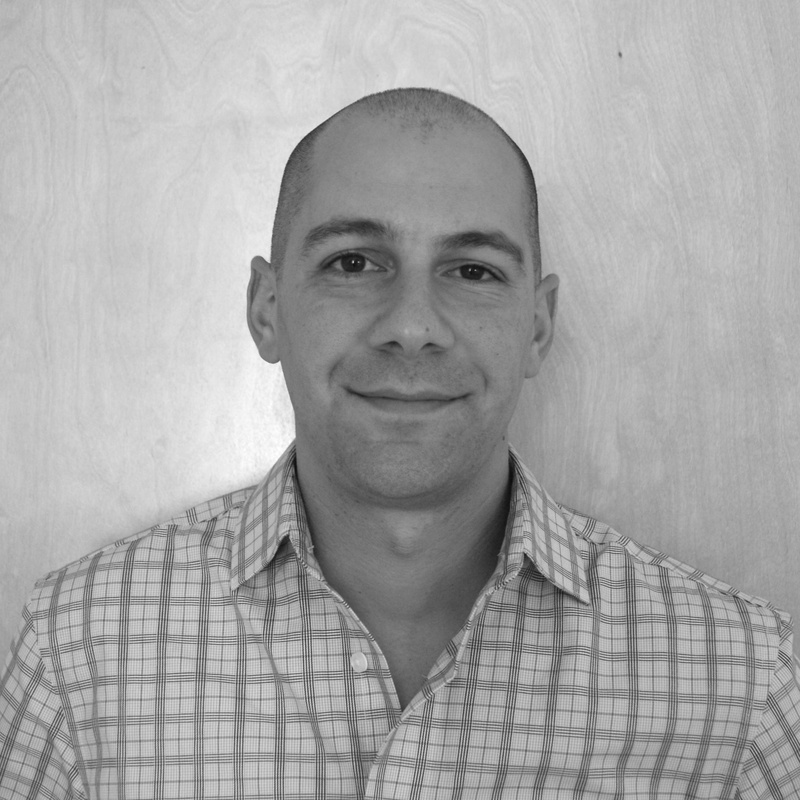 Why Is Bidding on Long-Tail Keywords a Good Idea? You’ll rarely come across a situation where targeting the long tail is an irrelevant or insignificant component of a PPC strategy. In almost all PPC markets, it’s best to constantly search for the advantage and be advertising in relevant areas, where your competitors are not, or where there is an inverse relationship between quality and cost. Long-tail keywords are extremely high quality searches because the searcher has specified exactly what he or she is looking for. In addition, the competition levels are typically low, providing you with a valuable opportunity to convert searchers at a fraction of your average cost. Is Targeting Long-Tail Keywords Ever a Bad Idea? This means that, if I were running a local dirt bike rental operation, it may not be worth my time to break out all of my keywords into really long-tailed PPC keywords because there is no competition. But it might be worth my time to test the search market on a core set of keywords, geo-target them, and then spend more of my time on the searcher's experience post-click (e.g. their experience on the landing page they click to or their experience with customer service). Down the line, as you see keywords starting to drive qualified traffic, then you can break them out into more long-tail keyword phrases. But if the competition level is low or non-existent, then you should instead try to spend more of your time outside of AdWords. How Can I Go About Finding Long-Tail Keywords? Within your AdWords campaign, run a Search Query Report for the past few months. This report will show you the exact queries that your ads showed up for, and it will typically contain terms that you don't already have in your account. This is certainly the most relevant way to build out your long-tail keyword list, since the results come directly from your users and are in relation to your campaign. On average, run a Search Query Report each month and add new terms you didn't have before. Start your bids low and increase your bid if needed, but with low competition levels, you should be able to run these high quality keywords at a low CPC. The average CPC on Google is roughly $1.50 on a click scale that runs from pennies to the range of $250 per click! For your tail terms, discount your bids 75% off against your average cost-per-click. You can always bid up or down if the data suggests you can keep your ranking and quality score at a lower CPC. Additionally, with traffic and competition levels low, you should have an easier time (compared to head terms) improving your quality score if, for some chance, it's lower than expected. Append all of your keywords with the name of a country, state, region, city, town, village, zip code, area code … you get the point. In the example above, you can see that the search query includes a local qualifier. So if your keyword was "cooking class," the idea around localizing would including appending the term "cooking class" with any other qualifying term such as: "cooking class in massachusetts," "cooking class in western massachusetts," "cooking class in boston," "cooking class in back bay boston," "cooking class boston 02135" ... get it? Target any and all search queries that a user could search for within a local area. Append all of your keywords with add-ons, complementary products, color, size, style, make, model, associated people, etc. In the example above, you see that the root query was for "boots," but the qualifying terms include "men's," "hiking," and "green." A very specific query, but what better way to make a sale if you sell men's green hiking boots?! To build this section of your long-tail keyword list, categorize keywords into themes/columns and start with the root term like "boot." In the additional columns, start including all of the colors that are available like green, brown, or blue. Have another column specifically for shoe style; for example, hiking, construction, or rain. Continue to add in as many themes/columns you can think of, and then run a mass concatenation of all your root terms appended with any and all qualifying keywords. You can use tools such as SpyFU, KeywordSpy, or AdGooRoo to determine which terms your competitors are bidding on and identify additional long-tail opportunities that you may be missing out on. 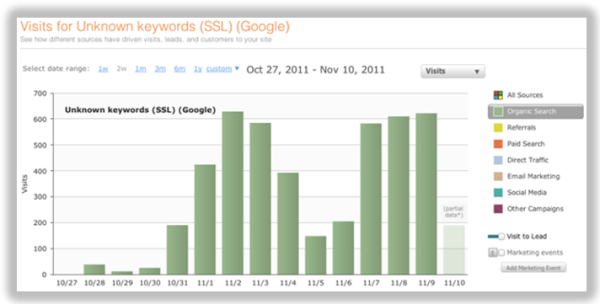 You may also find out that your competition is completely ignoring long-tail keywords. Or you may notice your competitors are focusing on certain local areas where there's opportunity for you to test. Be sure to check data for search engines besides just Google, as Yahoo/Bing still represents roughly 20% of all search traffic within the United States (and 10% globally). If your website has a search box, take a look at your data to see what people are searching for on your site. (Note: HubSpot users can access this data by setting up a Google Custom/Site Search box, which a HubSpot Service Provider can install on your website.) You may be surprised at some of the terminology that's used and find that people get very specific with their search queries. You may also find that searches are geo-focused, product-specific, or phrased in the form of a question. The most impactful element to reviewing your site search is that the data represents exact queries that your website visitors searched for. This data is like your own, personal Google search engine data, so make sure to pay close attention here and respond accordingly. However, you can use tools like HubSpot's Sources Tool or SEOMoz to help you generate additional long-tail keyword ideas from your organic traffic for searches that occur when people are not logged into Google.com. There is also a secondary benefit to this, which is the ability to gauge search traffic volume generated from tail terms through pay-per-click. This can help you determine if the traffic volume warrants putting time and resources into organic search engine optimization for those terms. Using a service like TagCrowd, you can insert content from your website and it will provide a visualization cloud representing the frequency of certain words used. You’ll most likely have the broader terms covered on your keyword list, but the key is to look at all of the visualized keywords, and try and think about whether they could be turned into unique search queries. When looking at this keyword cloud, don't focus so much on the large keywords that are bolded, but look at the smaller keywords that aren't highlighted as much. Are there any themes that you see? If I were looking to generate long tail keywords for this blog post, I would group these keywords by volume and then run a mass concatenation, appending any and all keyword variations. 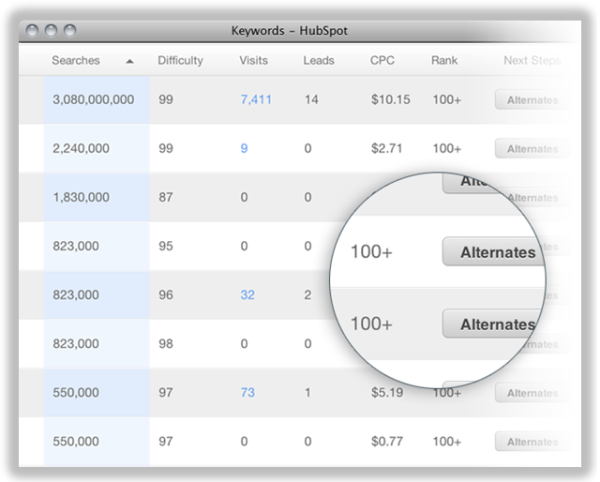 I would then take all of those keywords and run a keyword report using either the HubSpot Keywords Tool or Google's Keyword Tool to check competition levels. For any term that didn't return data suggesting high levels of competition, I would consider it a tail term and test it. Remember that, on average, your long-tail keywords will represent 80% of your terms and about 20% of your leads. However, the goal is that the cost-per-lead will be much less than the 80% of your leads being driven by your head terms, which may only represent 20% of your keywords. Focusing on the long tail is great when entering competitive markets, looking to reduce your cost-per-lead, or just looking for new ways to expand your paid search budget. In what other ways can you build your long-tail keyword list for PPC?